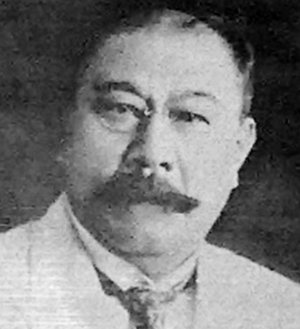 Earlier, on November 3, 1898, the people of Negros rose in revolt against the Spanish authorities headed by Politico-military Governor Colonel Isidro de Castro. 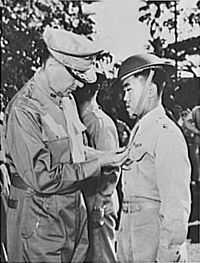 The revolutionaries, led by General Juan Araneta from Bago and General Aniceto Lacson from Talisay, were said to be actually carrying fake arms consisting of rifles carved out of palm fronds and cannons of rolled bamboo mats painted black. By the afternoon of November 6, 1898, through the mediation of José Ruiz de Luzuriaga, a rich businessman who was deemed acceptable to both rebels and Spanish authorities, Colonel Isidro de Castro agreed that the Spanish troops both European and natives surrender the town and its defenses unconditionally, turning over arms and communication and public funds to the new government. De Castro and the rebel leaders signed the Acta de Capitulación on this same day. 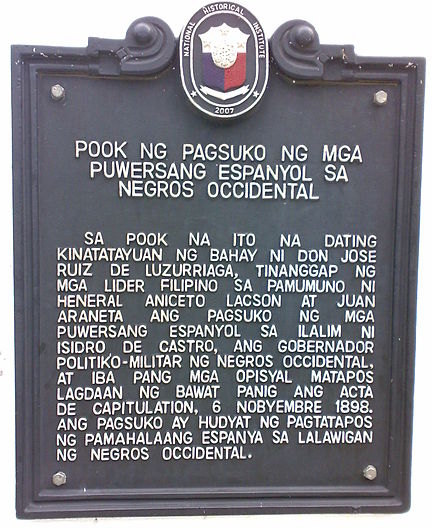 Historical marker commemorating the surrender of Spanish forces in Bacolod in 1898. This thus ended the Spanish rule in Negros. On March 1899, the American forces led by Colonel James G. Smith occupied Bacolod, the revolutionary capital of Republica Cantonal de Negros, which lead to the eventual dissolution of the Republic. 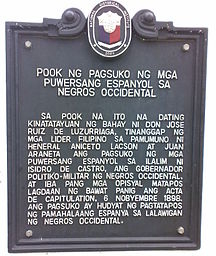 A historical marker commemorating the surrender of the Spaniards to the Negrenses was installed in Bacolod at the city's Fountain of Justice in 2007.